Shoulder is the most mobile joint in our body. And because of this, it is also the most unstable joint. Like normal joint, it is stabilized by joint capsule, ligament, and muscle. Muscle also serves the function of movement of the joint. Tendonitis is the most common problem at shoulder joint. Because of the long lever arm of the arm bone, and the mobility of the shoulder joint, the tendon around the shoulder may easily be under high stress. 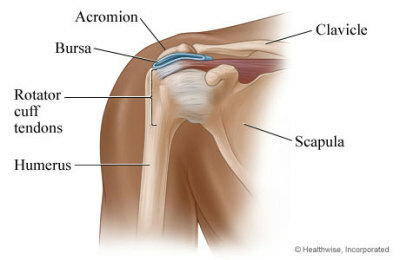 The well-known rotator cuff muscle is the four muscles surrounding the shoulder joint. These muscles and tendons are always the origin of pain after overuse, repeated use or sport injury. Other common conditions for shoulder pain are bursitis, shoulder subluxation, ligament injury, and muscle tear. For people around the age of 50, or untreated previous shoulder injury, the shoulder will easily become stiffened. This happens when the capsule inflamed and contracted at time. A condition usually calls frozen shoulder. For tendonitis of shoulder, proper posture in using the shoulder is very important. One should avoid lifting weight with long arm. An elbow bending to 90 degrees can help to reduce the loading. If it involves sports overuse, one should stop or reduce the sport activity. Moreover, taping can help to protect the joint during sport. For frozen shoulder, one may experience pain at the shoulder in the beginning. But gradually, the pain will come down but the joint will be stiffened. Keep the joint mobile by suitable is very crucial for good recovery. If the joint is stiff, physiotherapist will give client mobilisation to improve joint movement. Home exercise is very important for recovery. 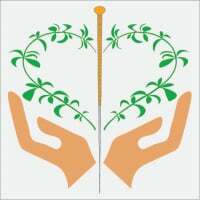 Pain relief to shoulder pain by acupuncture, ultrasound and massage are effective. 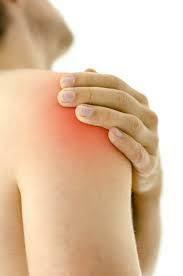 For acute tendonitis, ice is a good choice; for frozen shoulder, normally heat can give a good relief of pain. As shoulder joint is stabilized crucially by muscle, strengthening exercise is inevitable for prevent relapse.